Ham on Rye, a semi-autobiographical novel, follows Henry Chinaski, Bukowski’s thinly-veiled alter ego, during his early years. It contains harrowing descriptions of Bukowski’s suffering from acne conglobata and his reflections on the dermatologists who treated him. Fortunately, today, isotretinoin can help most of these patients. I was ashamed of my boils at school. At Chelsey, you had a choice between gym and ROTC. I took ROTC because then I didn’t have to wear a gym suit and nobody could see the boils on my body. Handling the rifle during various drills was bed for me. I had boils on my shoulders. Sometimes when I slammed the rifle against my shoulder of boil would break and leak through my shirt. The blood would come through but because the shirt was thick and made of wool the spot wasn’t obvious and didn’t look like blood. I told my mother what was happening. She lined the shoulders of my shirts with white patches but it only helped a little. I got through the term. but the boils got worse and worse. They were as large as walnuts and covered my face. I was very ashamed. Sometimes at home I would stand before the bathroom mirror and break one of the boils. Yellow pus with spurt and splatter on the mirror. And blue white hard pits. In a horrible way it was fascinating that all that stuff was in there. But I knew how hard it was for other people to look at me. The school must have advised my father. At the end of that term I was withdrawn from school. I went to bed and my parents covered me with ointments. It was a brown salve that stank. My father preferred that one for me. He insisted that I keep it on longer, much much longer than the instructions said. One night he insisted that I leave it on for four hours. I began screaming. I ran to the tub. Filled it with water and washed the salve off with difficulty. I was burned on my face my back and chest. I couldn’t lie down. My father came into the room. Look what happened, I told him. My mother came into the room. Some moments passed and suddenly there were many people in the room. They were all doctors. At least they looked and talked like doctors. Where have they all come from? I have thought there were hardly any doctors at L. A. County Gen. Hospital. I followed the doctor through the same swinging doors into another room. Well he said “we’re going to try to get some drainage.” I heard him turn on the machinery. It made a whirring sound. I could smell oil getting hot. He pushed the electric needle into my back. I was being drilled. The pain was immense. It filled the room. I felt the blood run down my back. And he pulled the needle out. “Now are going to get another one,” said the doctor. He jammed the needle into me. He drilled my entire back and then he got my chest. Then I stretched out and he drilled my neck in my face. The drilling and squeezing continued for weeks, but there was little result. When one boil vanished another it would disappear. I often stood in front of the mirror alone, wondering how ugly a person could get. I would look at my face in disbelief, then turn to examine all the boils on my back. I was horrified. No wonder people stared, no wonder they said unkind things. It was not simply a case of teenage acne. These were inflamed relentless large swollen boils filled with pus. I felt singled out. It was as if I had selected to be this way. There is much more here about acne, but the reader will get the picture. We rarely hear the voice of the acne sufferer, and Bukowski, in the persona of his teenage protagonist speaks to the pain, humiliation and isolation some of these patients experience. He also comments on the callousness of many physicians. Some of this may have changed, hopefully it has, but doctors like this still exist. 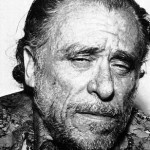 This entry was posted in Charles Bukowski and tagged acne, acne surgery, dermatologists, humiliation, illness narrative, nurses by humanemedicine. Bookmark the permalink. 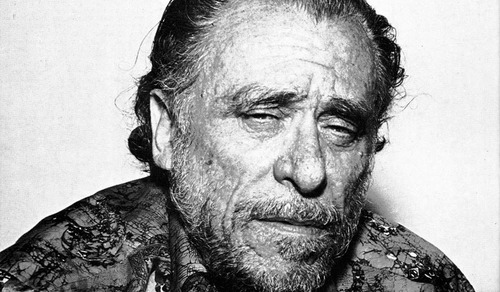 I love Charles Bukowski, and this is a terrific description. Thanks for sharing!